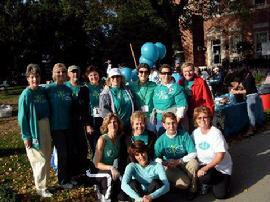 MAYORS 5K RUN/WALK to BREAK THE SILENCE ON OVARIAN CANCER! There are many ways you can consider joining us. You can work with us pre run, or on day of run. There are even volunteer jobs that can be done from your home. "Never Doubt that a Small Group of Committed People can Change the World"